The CPA fly-in program is recognized as one of the premier association-related fly-in (fly-out), programs in the country. It’s purpose is to promote activities centered around flying destinations throughout the western portion of the U.S. Many of us need a reason to fly and this is just the ticket. Join us as a fantastic group of like-minded aviation people explore countless destinations with unlimited attractions. Check out the scheduled fly-ins being held this year! If you're interested in attending, head over to the calendar page to sign up for any of these fly-ins! What’s not to love about a town named Thermopolis! It’s past meets future – Sci-Fi and ancient Greece combined! Be the envy of your family, friends and neighbors or – just be cool and join us May 18! This trip will be good for your bones! You will have opportunities to; Soak your bones, Dig for bones and Fish for bones. Email: Dean Lyle for more info, or see April Flight Lines. Fly-in to Chinle; Tour Canyon de Chelly with Navajo guide. Happy hour, dinner & overnight at Thunderbird Lodge. Join other CPA pilots for a weekend in Glenwood Springs. White water rafting, Cavern tour and Amusement Park and many other options to fill out your day. Tour the Smithsonian affiliated Stafford Air and Space Museum and the Route 66 Museum. Private room for group dinner at bar/restaurant Saturday night in unique location. Great trip for those apprehensive about mountains as it can be flown at 8500 MSL. CPA sponsored fly-in to Mt. Rushmore, Ellsworth AFB, and Buffalo Round Up. More details to follow. 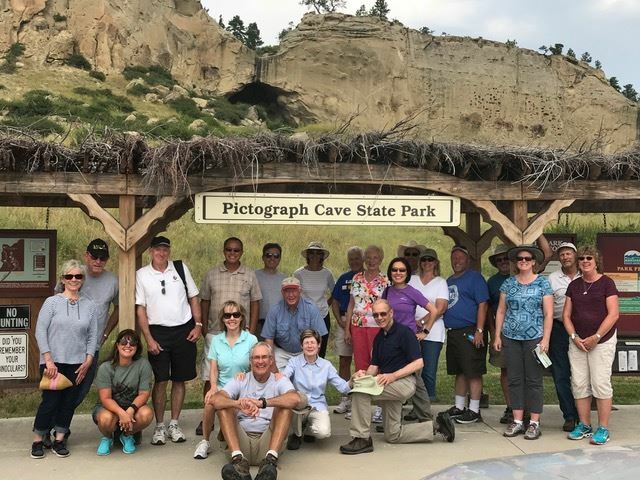 Buffalo Bill Center of the West including the world famous Cody Firearms Museum; Tour the Buffalo Bill Scenic Byway; Hiking; highly rated Dug Up Gun Museum; & socializing with your CPA friends!